Queensland’s annual Caloundra Music Festival has announced its 2018 lineup, topped by the likes of rockers Birds Of Tokyo, roots legends John Butler Trio and Aussie icons The Living End. 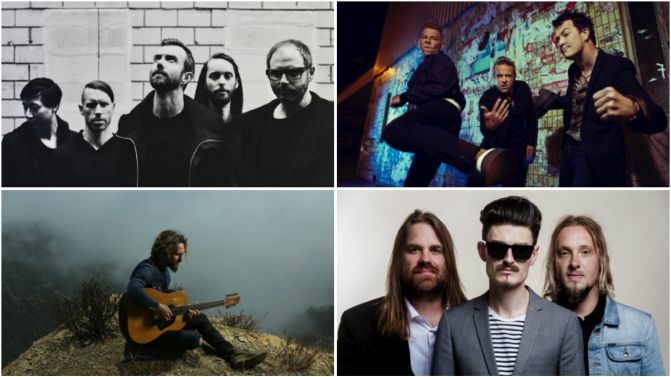 The local-heavy lineup also includes the likes of Thirsty Merc, The Waifs, The Temper Trap, Seth Sentry and Tim Finn, who will all perform at Caloundra’s Kings Beach Park across four days between September and October. American acts Groovement and Red Young are also returning to Caloundra Music Festival this year, while power funk band Big Sam’s Funky Nation! will make their Caloundra debut. View the festival’s first lineup announcement in full, below. UPDATE 03/07/18: A number of new acts have now joined the Caloundra Music Festival lineup. Details below.